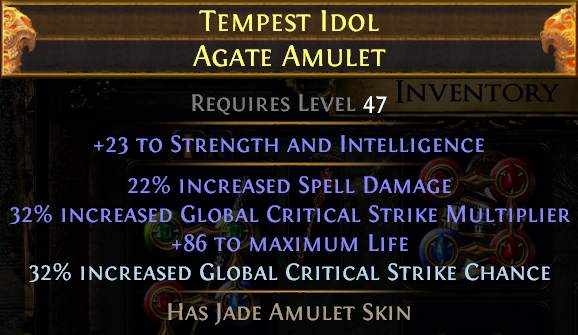 Nearly perfect amulet that I want on a Life based caster build. It only takes one chance and one regal to create a 10+ exalted amulet... Since that day no matter how many alteration I spamga I don't even come close to a simular result, not even one T1 mod.